This week, we’ve rescued a total of 8 pigs from two different situations. Horace and Molly were rescued on Monday, saved from becoming dinner for someone else. 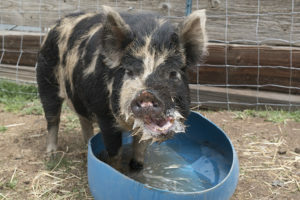 Horace is a purebred Kunekune, a breed from New Zealand that is typically raised for meat. 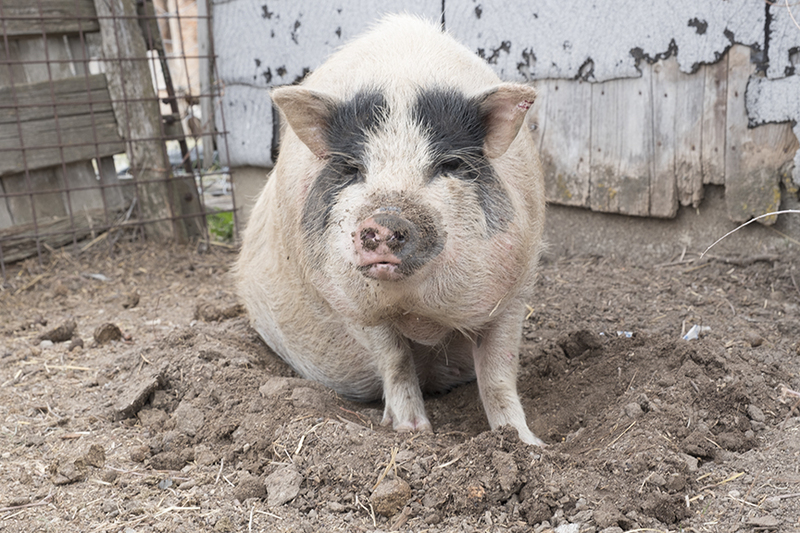 Kunes stay smaller than standard pigs (like our Lucky boy), but are a little larger than potbellies, weighing in as adults at 300-400lbs. Horace and Molly were being bred, and their babies were all sold as meat pigs. 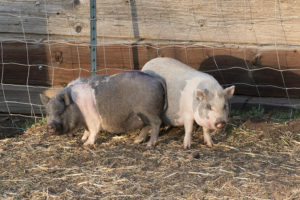 They were then listed for sale, also as meat pigs, so we stepped in to offer these two sweethearts a chance at life! 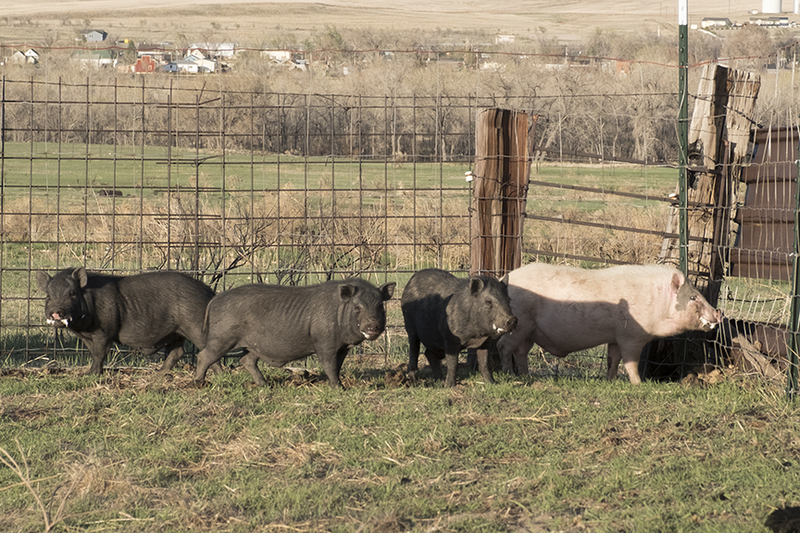 Yesterday, Erin headed out to the northeast side of Colorado to pick up four 7mo old piglets. Upon arriving, she realized the situation was bad. There were a total of 14 pigs on the property, and more than 100 other types of animals–chickens, ducks, goats, horses, donkeys, and dogs. The pigs are not socialized, and there are several pregnant females. Erin ended up bringing 6 of the 14 pigs back to Hog Haven; all four boys and two girls, and all siblings. None of the pigs brought in this week are spayed or neutered, or have ever been seen by a vet for health checks. One of the females has open wounds that need to be taken care of with our vet. 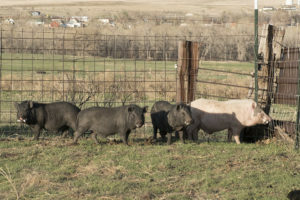 Hog Haven Farm needs your help to support these pigs–5 neuters and 3 spays are in our not-so-distant future. Our feed costs will be increasing as well, with all of these new pigs. Please consider a tax-deductible donation, such as a virtual adoption, to help us help these pigs. Your support is crucial to the success of our rescue!